Contrary to the silver screen’s prolific misrepresentation – see English-speaking protagonists swanning nonchalantly around Paris (we’re looking at you, Carrie Bradshaw), or defiantly non-Portuguese-speaking male characters attempting to win over their non-English-speaking love interests (Colin Firth in Love Actually, for example) – to love somebody with whom one doesn’t share a language is decidedly more difficult than simply perfecting the pronunciation of ‘je t’aime’. American New Yorker contributor Lauren Collins knows. Now based in Geneva, Switzerland, Collins published her first book, When in French: Love in a Second Language earlier this year. It tells the story of her move to Geneva to live with her French-Swiss husband, who she had met in London, and covers everything from accidentally informing her mother-in-law that she had given birth to a coffee machine, to the satisfaction that comes with understanding the emotional and linguistic etiquette of a secondary tongue. In celebration of Collins’ brilliant book, we look back at some of the real and fictional couples who would rather go silent than let incompatible words get in the way of their love – from the downright regal to the Hollywood-appropriate. 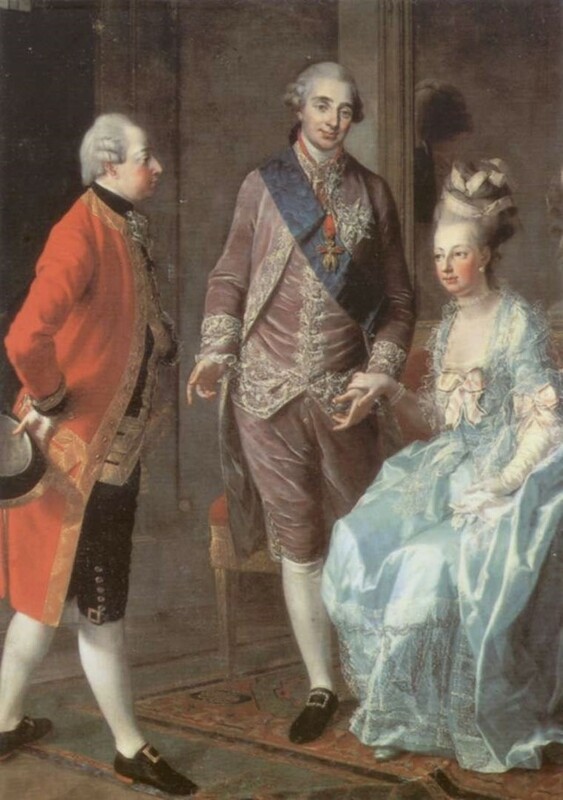 When Maria Antonia was 14 she married her second cousin once-removed, and became Marie Antoinette, wife of Louis XVI. It was a marriage of convenience – in part an effort to better relations between France and Austria – and Louis’ interest lay more with his collection of clocks and padlocks than with his wife (rumour has it that it took seven years for their marriage to be consummated). She kept herself occupied through having dresses made, buying jewellery and gambling, as well as having three-foot-high ‘poufs’ made to top her hair. She accumulated libraries and admirers, had hamlets constructed around the palace, and became a patron for the arts. Although theirs wasn’t a wholly satisfying affair, they remained together through philandering on both sides, the king’s depression, the French Revolution and their ultimate demise by execution. 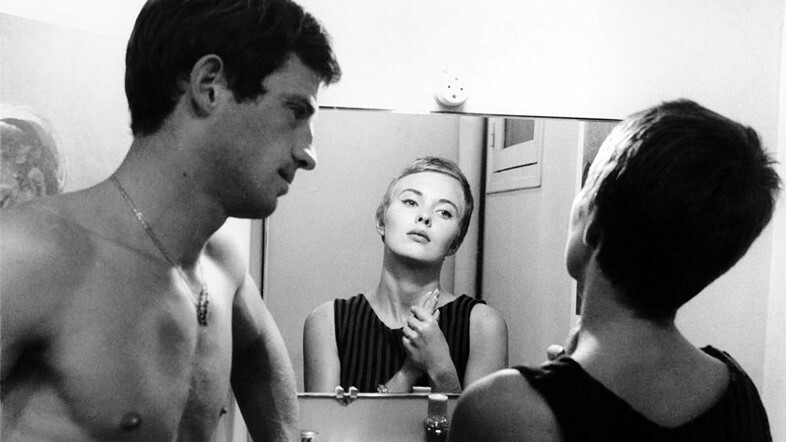 In Jean-Luc Godard’s 1960 film À Bout de Souffle, or Breathless, a criminal on the run played by Jean-Paul Belmondo meets an American student living in Paris, played by Jean Seberg. Belmondo’s Michel is an insufferable existentialist who models himself on Humphrey Bogart, and Seberg’s Patricia is well-heeled and ambivalent, living off sales from the New York Herald Tribune and aspiring to become a journalist. Godard was inspired by his love-hate relationship with Hollywood, and in À Bout de Souffle the constructs and tropes of the tradition are turned on their head. The trailer describes “The pretty girl. The bad boy. The revolver. The nice man. The cruel woman”; and in the film, the relationship shifts from Patricia getting carried away by Michel, to him falling for her, and her turning him in to the police while maintaining her dumb act in order to be free of her tiresome ‘Bogie’. Before Sunrise, the 1995 American drama directed by Richard Linklater, follows the meeting of Jesse, a young American, and Céline, a young Parisienne, on a train running through Vienna en route from Budapest. Jesse is due for a flight from Vienna back to the U.S., and Céline for a lunch date in Paris, but their plans are thwarted by a mutual interest in both one another’s reading, and one another. “He’s horrible! That dreadful man Serge Bourgignon. He’s meant to be my lover but he’s so arrogant and snobbish and absolutely despises me,” Jane Birkin wrote to her brother Andrew after her first meeting with Gainsbourg. The feeling didn’t last, however, and after a clumsy night’s dancing, which culminated in the pair passing out beside one another at a hotel, they were inseparable. As we wrote this time last year, theirs was a relationship which thrived on public embarrassments, rows and reconciliations. With grand gestures including Birkin throwing herself into the Seine, stealing crockery and flinging custard tarts, their bond remained strong in spite of their mutual difficulty. Gainsbourg was ‘Papa Deux’ to her daughter with Jacques Doillon, and since Gainsbourg’s death, Birkin has remained committed to his memory. When in French: Love in a Second Language is out now, published by Penguin.